There’s no place to fall in love like the place you left your heart. 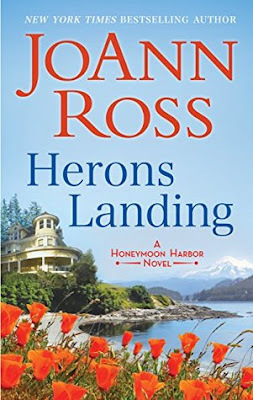 Since this was my first time reading one of JoAnn Ross's books, all I really knew going into Herons Landing was that it was going to be an emotional friends-to-lovers romance. I also had an inkling that it would also be a clean romance, which it was with the exception of one scene that took me by surprise. I enjoyed Herons Landing. It did have a bit of what I call the "1st book in a series" syndrome. There are a lot of background characters that are introduced in this book. It is a small town romance, so you know these characters will play a role in the books, but it can be daunting as a reader going into the first book when all of these names are being given to you. The romance between Seth and Brianna was a slow build. The attraction and chemistry was there from the moment they're reunited, but both characters are very guarded. Brianna is so used to making other people happy that she doesn't know how to put herself first. Now that she's finally back home, it's a bit of a learning experience for her. I loved her journey towards fulfilling her dreams and finding her happiness. Seth... How does one heal from the sudden and violent loss of a loved one? He was looking forward to finally starting a family with his wife when the unthinkable happened. Of course, his attraction to Brianna shocks the hell out of him and it takes him several beats before he is able to act on it. Once these two finally come together, they heal each other. I love that in a heartwarming romance. Overall, I enjoyed Herons Landing. While it did have a lot going on with character introductions and such, that didn't distract me from the romance between Seth and Brianna. Since this is the first book in the author's new Honeymoon Harbor series, I'm pretty sure I'll pick up the next book to see how that one differs. For now, this one was a cute, emotional friends-to-lovers romance that I had fun reading. New York Times and USA TODAY bestselling author JoAnn Ross has been published in twenty-seven countries. 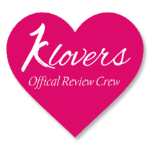 A member of Romance Writers of America's Honor Roll of bestselling authors, JoAnn lives with her husband and three rescued dogs — who pretty much rule the house — in the Pacific Northwest.